So.. Startup Estonia’s new website just got #started. By now you must be wondering what kind of magic this website holds and how you could benefit from using it? The main goal of our website is to keep you up-to-date with what’s going on in Startupland of Estonia – who are the key players of local startup community, where and when you should go to meet them (where are the hottest events, incubators, meetings etc), why Estonia rocks as a startup country (read: why YOU should choose Estonia as a preferred location for building your startup) and who could support you in building your global success story. · You can find the key players of our startup ecosystem under the startup lifecycle graphic, which goes by the name From Inception to Disruption. To find the partners most relevant for your startup, simply choose the phase your startup is in. Or if you don’t have a startup yet, but you have an idea you believe in, just click on the phase Ideating and you will find a list of all the local partners suitable for you, here in Estonia. We have divided the key players under three section: mentorship, capital and facilities. 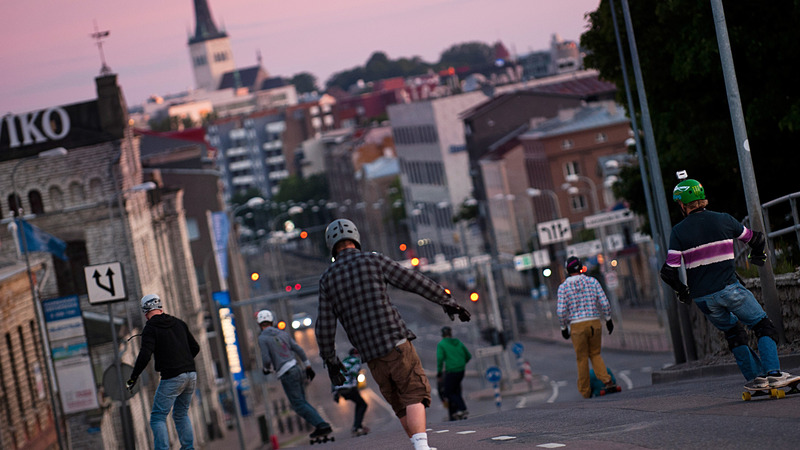 · As you probably already guessed, the Why Estonia? section (or „See why Estonia rocks as a Startup country“ section) gives you a little glimpse of the reasons why Estonia is THE PLACE TO BE if you want to start or build a startup or invest into one. Be it our ridiculously well-developed national ICT system or supportive regulations. If you don’t believe, then just check our wall of fame – the Estonian Success Stories. · So now you know that Estonia is the place to be and have had a look at some of our local key players. What’s next? Well, we invite you to fully dive into our startup life and find the best events to get to know our local startup mafia family. Simply check the What’s going on? section in our website our go to the Startup Events Calendar. · To be up-to-date with everything happening in magical Startupland simply sign up for our monthly newspaper, what delivers all the hottest topics and events straight to your mailbox. Or keep an eye on our blog, what we fill in every week. And just wait for the magic!